One of the great things about the Android platform is that it grants every developer with the privilege to use, customize, and redistribute its code freely, as long as no license restrictions are being violated. Unfortunately, many smartphone manufacturers lock down the boot loaders on their devices because carriers require them to. That automatically makes “rooting” these handsets, and loading custom ROMs onto them, pretty much impossible. HTC has been one of the exceptions, and until recently, its smartphones did not have such restrictions – something that Android developers and software modders were grateful for. However, after the company started locking down the boot loaders on its devices as well, the developer community sprung into action, and tons of complaints started filling up HTC's inbox. That is probably why the company is now reconsidering its newly-applied policy of locking down boot loaders, and chances are that a decision that satisfies both developers, and the manufacturer, is going to be arrived at soon. Even though HTC may not start shipping its smartphones with unlocked boot loaders straight away, we wouldn't be surprised if the company decides to provide a software unlocking tool to any interested developer – something that Sony Ericsson recently did. Motorola might be the next to rethink its software locking policies as well, after thousands of users expressed their discontent with the restrictions. Could this be the start of a trend? It is too early to say, but unlocked boot loaders can only mean that more great custom ROMs like CyanogenMod might follow, and installing one of them is surely a fun way to void your warranty. This is a good move by HTC. They should never do anything that would alienate their fan base. The mobile industry's competition is so tight, that they can't afford people jumping ship. HTC it a true company for the people, as their "YOU" marketing clearly advertises. If you are not in to the ROOT/ROM scene, HTC is there for you. If you are into that scene HTC has you covered. I am so glad that I have a choice & I can root my phone if I want to. HTC please make sure that I still have this choice when I get the HTC Evo 3D. Lol they better do away with it. I've never even owned an HTC device and i know all to well how devoted their community of users are to rooting and modding. What is this garbage? Get this off your site PhoneArena! This has gone for too long! It's been weeks now! Ok they removed the stupid shopping ad. Thanks PhoneArena, it was like they were making some awful bad English poem! I am glad that ad was removed! I would have bought the Motorola Atrix if I could have made changes to it. Instead, it was on lockdown. Thanks, but no thanks. I can wait. Hopefully the Samsung Galaxy S2 will be unlocked. Android is supposed to be free and open. That is why I love that devs make one click roots for even the least computer literate modders. Sure they can clog up forums with questions that have been answered a million times, but it is better to get more people involved in that freedom - getting rid of bloatware, and learning a thing or two about their device and OS. If you do not have the option to root, to be free, might as well get an iPhone! That's what they were made for! 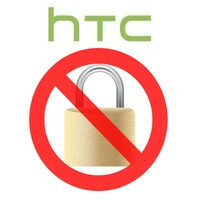 DON'T DO THIS HTC!